Welcome to the next Adventures! Its been a bit quiet on my end to be honest. Well, kind of. To be fair, the weather’s been pretty weird and then work’s been in its crazy phase. Still, we managed to get some time to hang out with friends, check out an event and pretty much wrapped up some stuff over here while to try relatively calm about everything. At least my few days staycation is just around the corner so I’m ecstatic for it. Can’t wait! As a replacement for the monthly Battle of Ingredients and to compromise for a busy schedule (and my incredibly messy house that I didn’t have time to deep clean for guests), we decided to head out for a dinner out. The final decision came down to Mon Ami Brossard for All You Can Eat. Its a pretty good deal as it includes a great deal more than just Korean BBQ. It was pretty good but as I was on the verge of getting sick again, I stayed a little further from BBQ food and loved that I could get Bibimbap and a ton of dumplings. Its pretty fun and we had nice chats. Time with friends is always such a great way to stay sane and get in a ton of laughs and good times in general. The 7th annual Montreal Joue Festival is happening right now. It has a variety of game-themed events on its program. For myself, the one that interests me most is their video games festival which was held at Marche Bonsecours. Its been a go-to spot for gaming events lately. Overall, there was a lot of rinse and repeat games that I had seen in last year’s various events (but then, I go to almost 90% of gaming events in Montreal so its inevitable). However, it was nice to catch up with some games that have been on radar especially those in development for a while and finally see that they are all getting a release date. The game above is an upcoming mobile game called Feathers of Time which have had my attention for a while. I’ll be doing a recap on it in a few days over on the Game Warp blog (and That Moment In). I know that technically there are like 4 movies that I need to post and they will go up soon by the end of the weekend (hopefully). I need to power through some more of the films to get them watched. However, after watching two great films, the remaining ones are looking a like lackluster. Haha! I’m just kidding…I’ll get to it. However, Valentine’s Marathon dragging further than February is not something I’d like to do. So I’m cutting it off. You will see this format again probably for next year. Its one that I’m enjoying and plan on doing on various months of the year just with more creative themes and maybe not a specific genre. However, Valentine’s Marathon was pretty great. I achieved the goal of taking movies off My List on Netflix and also managed to discover some pretty fantastic movies. There was a lot of average movies but great films are made everyday so the idea that some showed up is already great. The entire Valentine’s Marathon reviews is updated HERE! Check it out if you think you may have missed any of the reviews. I joined Elwood and Stephen over at Asian Cinema Film Club on their podcast to talk about 2012 Hong Kong film, The Bullet Vanishes. They were gracious enough to let me choose and it was a nice discussion we had about it. I never get enough chance to talk about Asian Cinema especially Hong Kong films that I always accept their invite. Plus, any chance to talk about my favorite celebrity Nicholas Tse is one that I won’t turn down. It was super fun as always. Give it a listen and hope you enjoy! Remember to follow them HERE if you haven’t already. That’s it for this Weekly Adventures! My Weekly Adventures: My First 5KM! Welcome to February! We just passed through Valentine’s Day yesterday which I spent with my mom for dinner and then went to do some errands and wrapped up the night preparing for a podcast recording and writing and gaming. Suffice to say that I didn’t celebrate but then I’m hoping that you did enjoy the ongoing Valentine’s double feature celebrations going on here. 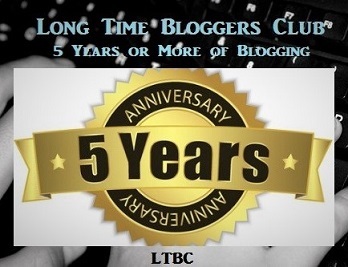 Its been a packed first half of February whether its personal stuff to settle or working (yay to overtime) or trying to get everyone to join into Ultimate 2000s Blogathon and much more. Its been a packed 15 days! Let’s see what went on! While I did get forced into doing the 5km and it was a painful experience especially afterwards because I hadn’t trained for it. However, I did a pretty awesome time, coming in 10 minutes faster than I initially expected. Time was: 35:21.9 . Not too shabby,right? Anyways, I’ll be getting back to working out soon since I need to fit into dresses for two upcoming weddings in 2019. And I’m sure that after my good time without training, my friend is going to try to get me to do more 5km runs. I’m not opposed to them because it was quite fun but then running inside through the underground and running outside are two different things completely. February 5th was Chinese New Year and we did some nice decorations different from last year and went crazy looking for flowers to decorate. 5 flower shops but at least now, we know where to buy some flowers near-ish to our neighborhood. Yay to discovering new things, right? Its the year of the pig so Piglet and Pua made its appearance onto the shelf outside of my office as piggy decorations. I also picked up some new fake flowers from Michael’s for the tall floor vase to give it some color. For the first time in all the years that I’ve done the Valentine’s Marathon, this is the first time its extending past the 14th. Because of the theme this year with the Netflix alphabet, I am going to continue through this until the end of February to finish out the alphabet. There are some fun changes due to lack of choices. 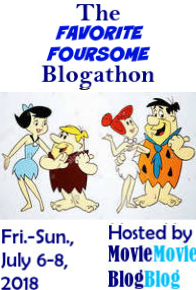 Anyways, point is, I have a nice little tentative schedule to pair up with the blogathon as they overlap and be able to finish off the Valentine’s Marathon with the entire full alphabet runthrough. I’m pretty excited. I’ve picked a nice variety of subgenres so it still feels very fun. Sign up has ended as of last Monday. If you are just seeing this and want to join, you can drop me and email and we can see if we can get it arranged. However, we will be emailing out notices to participants on their posting date. It starts on the coming Monday! Time flies, right? I believe we have over 3 weeks of posts so its going to be a fun time because there are some nice additions this year, some new blogs that haven’t joined in before and then returning ones and some other pieces aside from written reviews. I love seeing our participants getting creative! As usual, I will have a page ready to go on the menu so you can catch up on any posts you missed on either here or Drew’s Movie Reviews. If you haven’t followed Drew yet, then you definitely should HERE. My blogathon co-host is absolutely fantastic! However, I can’t complain too much because we are incredibly lucky at our home. I went out to shovel at 11:30pm and the city was clearing their second round of snow and the very nice guy plowing saw me, the crazy lady that shovels in the middle of the night, and decided to move his plow up my driveway and cleared it all including the path. Its the first time its happened to me so I was pretty shocked in a really happy way. Although, when we woke up in the morning, it was so very tall that I had to climb the mountain at the foot of the driveway to head to the bus stop. But we are also super lucky because my neighbor has a snow-blower and he does our driveway when we get storms or lends it to my husband. Thats it for this Weekly Adventures! What’s Up 2019: Week 5 Valentine’s Marathon Begins! Week 5 is heavy on movies. Valentine’s Marathon was announced and right away, the movie section is full and packed yet again, perhaps to make up for the lack thereof of last week. At the same time, everything else is progressing forward as well, except for playing which still has some space to do more of. Finished off The Girl From Everywhere right at the end of the week. Its pretty good. Its not a romance but more of an adventure and the fantasy element of time travel through sailing with maps drawn at whichever time and whichever world. Its an interesting concept and premise. The characters itself are also quite fun with mentorship, family and love all put into the equation here. The story takes a little bit to build up but in the final third of the movie, it takes quite a nice turn of events. With that said, i literally started very little of One Flew Through the Dragon Heart which is for an upcoming blog tour. I’ve taken a break from everything else and mostly took time to watch movies and TV series so gaming took a backseat as I still have a lot of editing in limbo after the work deadline ended. The only game I started was recent release of FutureGrind which is interesting to say the least. It has some comparisons to something like Trials but then it has its sci-fi factors as well. I’m only 10% in so I’m sure there is still lots to discover in the game. Valentine’s Marathon is finally upon us for the first 14 days of February. Working on double feature means romance films are completely top priority. I started it later than I expected so the backlog is non-existent. However, in between that, I managed to get through Hellboy and Hellboy 2 for Movies and Tea as that is our next episode to review in the next recording. Out of these, Hellboy 2 is one of the better films however if it was for the romance film choices, I’d go with Don’t Go Breaking My Heart. Its fun and charming and full of some great roles played by very competent cast. After some fast and fun binging, I finished up Fated to Love You, otherwise called You’re My Destiny on Netflix. Remember this is the Taiwan version which is the first version released before a bunch of other ones were done. Its super charming to watch and reminded me of the traits of Taiwanese series which makes the second/supporting male lead the perfect man who never gets chosen by the female lead who also likes the flawed first male who has room to grow and develop. There is so much to love about Fated to Love You. I’m hoping to get this TV binge up during this Valentine’s marathon but I’ve been on a writer’s block writing up TV binges so hopefully I get out of it soon. I am still having incredible joy from The Singer 2019 and My Little One. Overall, as with any marathon month, its a huge focus on movies. I might make February focused on Romance films to finish up the alphabet because I won’t finish it in the 14 days for sure. Welcome everyone to the beginning of February! To those unfamiliar, and well, this is an informal announcement for the Valentine’s Marathon. I decided instead of using some specific feature franchise (which I didn’t even finish last year’s), I decided to keep up with the double feature, cut through some of those films sitting forever on my list on Netflix and catch up on a much of romance genre films. With that said, I’m doing my favorite thing: Alphabet Netflix… You will see that I will pair up films going through the alphabet. So we kick off with A & B: All I See Is You and The Big Wedding. All I See is You isn’t particularly a bad film but more a film that seems to want to be more than it actually achieved. It seems to want to go the indie route of making some obscure film with a little art house style and then add in some psychological factors but nothing actually gets executed properly. It feels like nothing reaches the potential of what it might be. I’m not sure if its just that I never quite got the plot or it didn’t get delivered to me so that I got the bigger plot here. My point being that it felt like the plot was going somewhere and then it took a turn and the movie didn’t seem to know how to end. Whenever I watch movies like this, its hard to be particularly excited about it because for someone like me that stretches the meaning a lot, I failed to find the point of watching this. It gave me a feeling wanting to go somewhere and it reminded me of a bunch of films that executed these different ideas better. I like Blake Lively but All I See Is You just didn’t work. A star-studded cast to say the least for The Big Wedding. Robert DeNiro, Diane Keaton, Susan Sarandon, Katherine Heigl, Amanda Seyfried and of course, Robin Williams also gets a role here as the priest. Many times with movies like this with a family melodrama in the background, it crosses through a lot of plot with both family drama and conflicts which build up the connection to each of the family members and then its the romance line which has a much smaller line here. The wedding premise is where this movie fits in this little Valentine’s theme. Putting aside the romance, this movie was really disjointed. It had a few funny bits here and there but its not anything to be excited about. In a movie like this, its hard to fault the actors themselves. Yes, even Topher Grace that I can’t seem to like was alright here although his role was a little silly and probably still one of my least favorite characters here. However, the problem is the script and the execution. That’s it for the first Valentine’s double feature for A&B! Have you seen either of these films? Thoughts? Can you believe January 2015 is over? I’m actually pretty happy because this month has been dragging on forever. Maybe its because its so busy at work or its because I’m really sick right now but regardless, its over with and we’re moving onto February in a few hours (or maybe you’ve already stepped into February). For the last month or so, I’ve been obsessing over gaming videos on YouTube. Its actually one of the reasons why the whole posting, watching movies and reviewing movies has been really slow. I just needed a little break, I guess. But, if you don’t watch gaming videos, well, there are a few of them which are absolutely hilarious to watch. Now, I’m totally tapping into my nerdy side. I’ll probably do a post on that eventually. Which leads us to our first line of business. Mostly because I landed on one of these unboxing videos a while back, I discussed it with my boyfriend and we decided to order the Arcade Block on a 3 month subscription just to see how it is. You know, if we like what we get and all that. Everyone seems to post unboxing videos so we sat together and did one. My boyfriend doesn’t like me to film his face much and I’m ridiculously sick so its more of a shaky camera sweeping through what we got in the box. I was going to edit this video but I just don’t have the brain power to do it right now. Hopefully you’ll find it mildly entertaining because seriously, we totally loved what we got. Moving on… February being here tomorrow means Valentine’s marathon from February 1st to 14th. Last year, I focused on Nicholas Sparks movies. This year, I’m pretty much winging it. I do have a general list written up and I’ll be hoping to post at least one review per day. It’ll be mostly romantic comedies and maybe romance dramas. I’ve been really neglecting those sorts of movies so I’m pretty happy about it. Especially since my brain on meds can only handle that. I’m going to leave it at this now. It sounds like the logical thing to do to relax a little with a rom-com and hopefully let my body rest and maybe feel better tomorrow. This bug is pretty intense. Review going up tomorrow, my friends! 🙂 Remember to drop by again. What do you think about the Arcade Block and/or the unboxing video? What movies do you watch during Valentine’s? From the beginning of February till now, I’ve spent two weeks watching a few others but mostly focused on the Nicholas Sparks marathon. We’ve finally reached the last one and his most recent adaptation from his novel, Safe Haven. I read one review back then that revealed the twist so I already know that going in. Either way, I didn’t even remember much of the plot and I never read the book. Honestly, I was near finishing the last season of Gossip Girl and I almost didn’t even watch this, but I did because I like to wrap things up nicely 🙂 Lets check it out, shall we? Katie (Julianne Hough) runs away from her home in panic, jumps on a bus evading the police and ends up in South Port. There she meets the widowed father, Alex (Josh Duhamel) who runs a gas station/corner store. She watches as he tries his best to keep his family moving forward while trying to move on from losing his precious wife to cancer. After Katie settles in at the local restaurant and slowly adapts to this new secluded and slower lifestyle, she also starts getting closer to Alex and his family. At the same time, she builds a relationship with another nearby neighbor Jo (Cobie Smulders) who helps her sort out her feelings. But when her past starts chasing after her, she is threatened to leave South Port and the people that she has learned to love and appreciate and she also may lose the only safe place that she has finally found. I went into this marathon somewhat dreading it and honestly, other than a few road bumps in the middle, I’m glad that I found and bought Safe Haven. I mean, I knew the twist and maybe you know it, heard of it or just don’t care or you’d like to find out so I kept that hidden. Its somewhat silly in a way but then would it be such a bad idea if that actually happened? I don’t think so. I’d like to think that I could do that also if it ever happened. Safe Haven may be pretty much hated by a lot of people and if its anything I’ve learned from this marathon, a lot of people are just not fans. It suffers from being formulaic and attempts to manipulate our emotions but I mean, isn’t that what romance movies usually do? Anyways, I’ve accepted it. As long as its within reasonable tolerable levels for me, I can deal with it. With that said, Safe Haven really does give a solid love story. Maybe one of the few where I bought a lot of it. Sure, there’s things that don’t make sense here and there but its a romance, ok? Love doesn’t have to make sense. We are grow from pain and we move forward and we have to have the courage the better and the good that happens to us. Sure, it doesn’t evolve at the pace of Nicholas Sparks novels but sometimes, maybe it does. I’m not a love expert. Either way, point being these two characters here Alex and Katie are played by Josh Duhamel and Julianne Hough respectively. I don’t know much of what they did and they’ve never impressed me much, so I didn’t really care much but I think I just fell a little more in love with Josh Duhamel after this movie. Plus, I take back all the chemistry comments about the previous movies in the Sparks marathon (except A Walk to Remember) because these two are awesome. I think its because of the chemistry and more slowly developed relationship due to the kids involvement, it turns into some sweet. Its two people trying to move forward slowly from their pain and trust and love each other. I guess it resounds to me because feeling safe is really an issue for me and when I found it, its quite inexplicable and thats how I felt about that here. What I really liked about this is that one also is that its not just a love story and then a little climax with whatever was going on, a death or a loss or whatnot, this time there’s a physical shift to the cop chasing down Katie and how he inches closer and flashbacks of why she had to leave. It reveals who she truly is, whether she’s good or bad. It adds a bit more of a complex situation and because the cop (played by David Lyons and shown up there) turns out to be more and he’s expands on the set of problems already, it adds a bit of intensity. Its a nice up in pace after watching the previous ones. The feeling is a tad different as well and honestly, as a movie, its more well-rounded than I’d have imagined. Overall, I enjoyed this one. Julianne Hough does good and Josh Duhamel is charming as hell. I just actually realized it. They have really good chemistry which makes a good part of a romance. The supporting characters add positively to the script. The twist might turn some off but I felt like it was a nice idea. The movie itself gave me a feeling of freedom and the comfort of finding safety and feeling secure. All this had some pretty lighthearted music when they were in South Port. Honestly, it had a feel good factor and hints of intensity and changed the pace from an expected Nicholas Sparks adaptation. I was happy with it overall. I’m sure there’s some epic Oscar nominated or winner romance that will beat this and you know before you walk into this one, its not going to be one of those so you just need to go in with an open heart and enjoy what it offers if you’re into romance of course. I’m saying right now, Nicholas Sparks is really meant for those full-on romantic at heart (which I am because I like corny and mushy romance-y things). If you know you’re more the realistic lover, well, this is not your thing. What did you think of Safe Haven? What are your thoughts on Josh Duhamel and Julianne Hough? Are there movies of theirs that you like? The Lucky One is the first movie in this marathon where I have not read the book and know absolutely nothing about the movies. Fresh eyes, fresh mind and I’m always open-minded with no judgment going in. I have my Nicholas Sparks mood set in and I’m ready for any amount of romance and tragedy he’s ready to throw at me. My Kleenex box is conveniently located nearby…lets check it out, shall we? Former Marine Logan (Zac Efron) returns home to Colorado after three tours. During those tours, after a raid, he found a picture of a woman with the words “Keep Safe” written behind it. After being unable to find the rightful owner, he keeps it with him and it turns out that he believes that its his lucky charm as he survives many near death situations that others don’t. When he comes back home, he traces the background landmark of the photo and decide to go find her in Louisiana (I think). While there, he finds out that her name is Beth Green (Taylor Schilling) and a divorced mother who owns a pet boarding school. Seeing her there, Logan can’t find the words to explain how he got there but fortunately, despite Beth’s initial negative response in assuming that he was looking for a job there, her grandmother (Blythe Danner) hires him to help out. Beth starts slowly learning more about Logan and they become drawn to each other despite her ex-husband’s disapproval and threats to take away her son. At the same time, his secret is in danger of being revealed as well. I had no idea what to expect for The Lucky One since I didn’t really know much about it. I remember having a glimpse of the trailer when it was first released and I never really go on the boyish Zac Efron train despite finding enjoyment with High School Musical a few years back. Looking at it, this seems to be his first role where he’s being an adult with some drama attached to him. Feels a bit like the sudden transition of I had when Daniel Radcliffe went from Harry Potter to his married man role in The Woman in Black. I have to admit that I kind of like Zac Efron here. His character, Logan has a charm and attractiveness and he’s that protective manly guy that appeals to me. I don’t see Zac Efron ever being a great actor but then , what do I know..I haven’t seen that much from him. All I’m really saying is that Logan worked for me. After watching a few after A Walk to Remember that didn’t work because of the story, or characters or the actors, this one felt like it fit perfect. It was a breath of fresh air. It had some sweet lines, a really good chemistry and a nice romance with certain difficulties. Its more mature and yet, makes you feel young because its about finding that lucky person that makes you smile and laughs with you to just encourage you to follow what you want. Its really good, ok? I was pleasantly surprised 🙂 Plus, it had lots of adorable dogs, cute kid and witty/inspirational grandma. The main theme in this is destiny and I’m a sucker for that also. I believe everything happens for a reason and all that stuff. What are your thoughts on The Lucky One? What do you think about Zac Efron and any movies that he’s been in that has made an impression on you?